Where Are Those 20-Somethings Living? Where do young Kansas Citians live? The traditional Midtown haunts? High-end urban apartments? The large rental complexes in suburbia? We couldn’t reach the questioner, but it seemed the two-part query was addressing the hot-button issue of rising rents in downtown Kansas City. The city has heavily subsidized a lot of these projects, and some elected officials are pushing for the inclusion of affordable units in these posh apartment buildings. 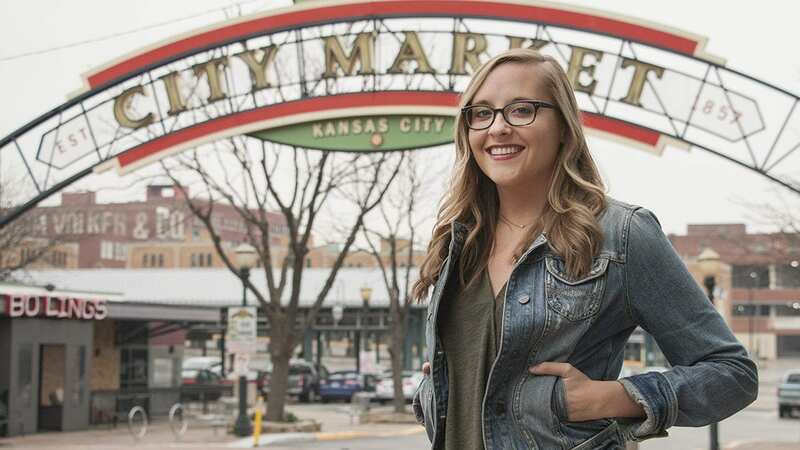 We turned to our personal and professional social networks to find some of Kansas City’s 20-somethings and pose that question to them. 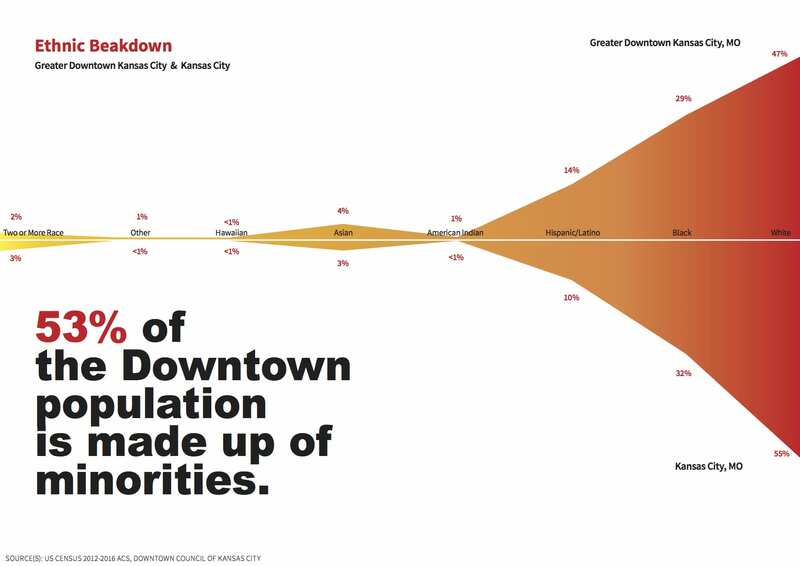 Our informal sampling found a mix: Those that want to live downtown are making it work, and others live elsewhere because of their lifestyles. 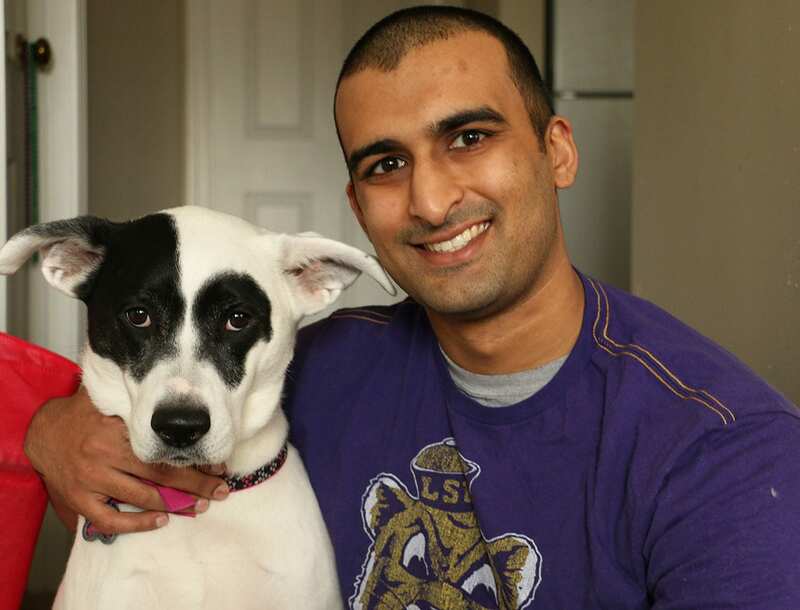 Bijon Banerjee, 27, is sitting at his one-bed apartment in Midtown, with his dog, Arya, running around him. Banerjee spends about one-fifth of his monthly income on his $755 per month rent. He likes the fact that the place has an in-unit washer and dryer, and that it’s very close to his office. “I just stumbled upon the place I’m living at and picked the most convenient,” Banerjee said. What about downtown? 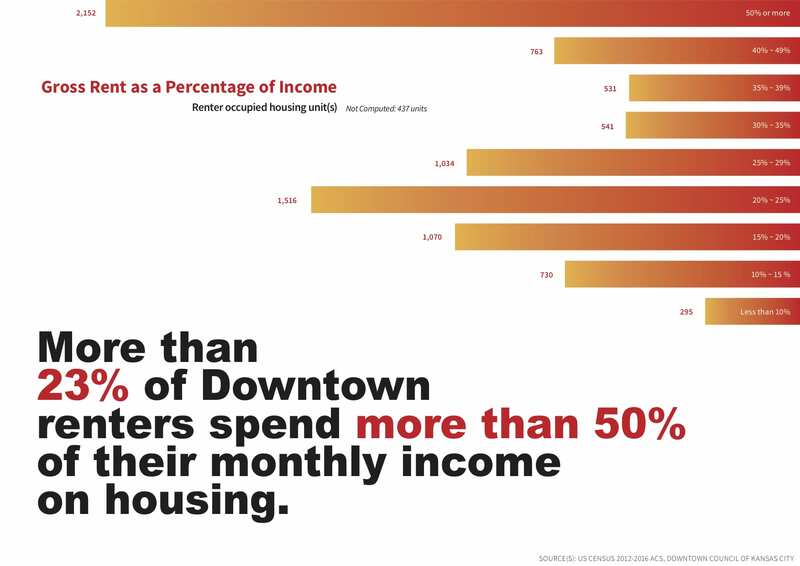 Sure, that environment provides easy access to restaurants, nightlife, and all those downtown businesses. But that’s not for him—Banerjee crossed out that option. Banerjee used to live in California, where he saw young people stressed-out by the high cost of living. 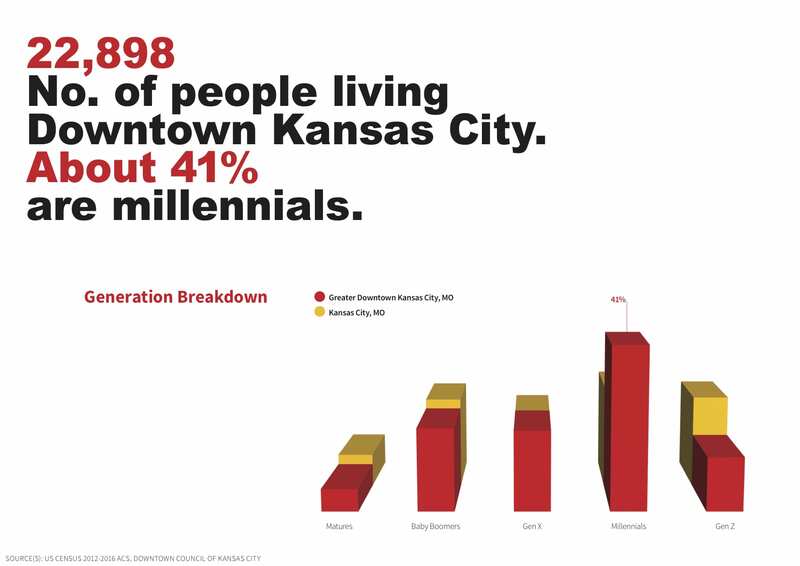 In comparison, he said, Kansas City has a variety of housing options for the young professional. Charlie Xiong, 24, is an accountant living in a downtown apartment that rents for $995 per month, not including parking and utilities. Housing costs eat up about 40 percent of his paycheck. After graduating from the University of Missouri-Columbia, Xiong moved here for his job. When he was looking for housing, he went through all the apartments that were within a 10-minute walk to his downtown office. He ended up in one even closer than that. Xiong said his neighbors are mostly young professionals in their late 20s who work nearby. Being a gym goer, Xiong was also attracted by the commercial gym and indoor pool in the building. Although the rent is a significant financial burden, Xiong says he enjoys living downtown. For Bailey Barry, her housing equation came down to two variables: location and affordability. Her solution was to share a River Market apartment with her sister, where her half of the rent comes to $625 per month. That’s within her budget and also puts her close to downtown entertainment. Barry, 25, grew up in Iowa and moved to Kansas City in June from Phoenix. She is a strategist for a local advertising agency. She loves the River Market vibe, and also likes the historical aspect of that part of town. “You see nearly every ethnicity and culture represented in the businesses as well as vendors participating in the market,” Barry said. The River Market has seen its ups and downs through the years, and Barry realizes her neighborhood is now a pretty hot commodity. The new luxury complexes in the area might not be so easy on the pocketbook, she said. “I believe the housing complex I live in now will start raising their prices as all the units get filled,” Barry said. She predicts the booming housing demand will continue to drive rent up. A native of Little Rock, Arkansas, Ben Sheard came to Kansas City to play soccer at Rockhurst University. He’s now 28 years old, working in sales at Cerner, and planning a December wedding. When he was fresh out of college, he couch surfed for a couple months at a buddy’s place in downtown Kansas City. That was cool, but apartment living just isn’t his thing. It has been that way ever since college, where he lived off campus in Midtown. He now shares a three-bedroom house in the West Plaza neighborhood. The price is right for him, at around $550 per month for rent and utilities. Plus, he’s got room for his two dogs and easy access to entertainment, whether it’s a short walk down the hill from his house or at other places that are cheap Uber ride away. Sheard knows folks who live all around the city, including in Prairie Village and the Crossroads. But it seems to him that the biggest trend for single people his age is to stay within the Midtown/Country Club Plaza area, migrate to Waldo and Brookside when married, then beat a path to suburban school districts when they start thinking about kids. That progression leaves him with the impression that the choices 20-somethings make about places to live in Kansas City isn’t age-related. 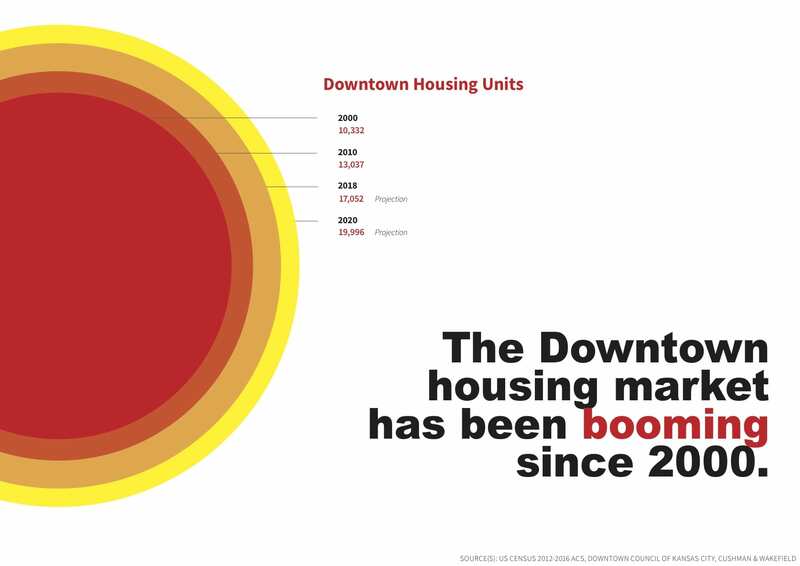 Farther south, downtown Overland Park is also experiencing its own housing renaissance. Natalie Scott is an executive with a real estate group that is leasing a newly-built 220-unit apartment complex, which she expects to bring some of the urban vibe to the suburbia. She is also hoping to lure the younger set with amenities like controlled-access parking and concierge services. Her take is that housing choices boil down to a broad definition of convenience, incorporating location, price, amenities and customer service. 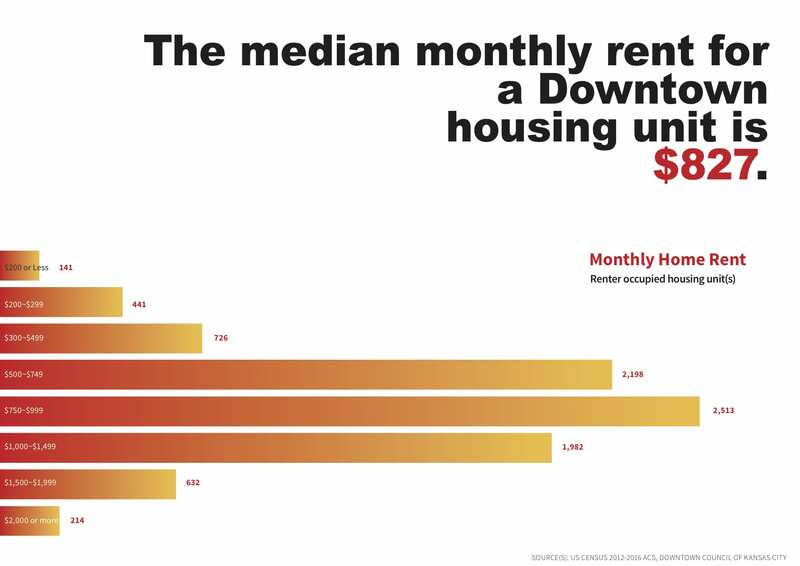 Her company’s research found that a starting price point below $1,000 sparks the most interest, so it has set the basic rent for the new downtown complex at $895 a month. Scott is very optimistic on young people’s ability to afford luxury rents. “The average income has increased drastically for our individuals new to the workforce, therefore creating an aggressive yet affordable housing market,” she said. We all know that you can’t stay young forever, so what’s in the cards for this sampling of 20-somethings? Will they stay, or will they go? Barry, the advertising strategist, says she anticipates moving to Waldo or Brookside after a few more years in the River Market, and Banerjee, in Midtown, talks about buying a place with more space down the road. Both are unsure of where they would put down roots after retirement. Xiong, who likes his under-10-minute walk, has a long list of places he would like to move to in the future, Melbourne, Chicago, Sydney, Toronto, Auckland, Hong Kong, and Kunming, China, among them. He says he wants to explore as much as he can and doesn’t plan to settle down. As for Sheard, he and his fiancée plan on buying or renting a house in town in the next six months, but they don’t anticipate staying in the city long-term. They want to raise their kids in a smaller community, along the lines of her hometown of Savannah, Georgia, or his in Little Rock. As for our anonymous question asker, we hope our informal poll reflects the diversity of answers out there when it comes to 20-somethings and housing. Kansas City PBS and its digital magazine, Flatland, are gathering in-depth reporting and engagement around affordable housing in the metro. Watch for resources, ways to get involved, and more reporting on our project main page, Public Works? A Level Foundation. —Zechang Fu reported this article as a professional project between multimedia students at the University of Missouri’s School of Journalism and Flatland. Follow Flatland @FlatlandKC.